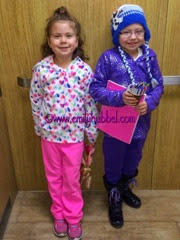 Today was a long day at hospital...Emily had clinic for accessing her port and checking counts. Her counts came back and they are starting to come back up so it tells us she was fighting something about a week ago. We should get results tomorrow of urine markers! In between clinic and injection we met up with another neuroblastoma fighter , Molly and her mom Trisha and Dawn whose son lost his fight with neuroblastoma, superbub! It was great seeing you guys today!! Then we had injection and had lunch with Molly! 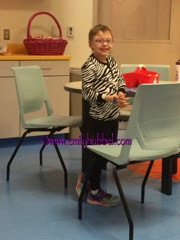 Emily also had her hearing test! Hearing test shows no significant change which we are very happy to hear! She is only a few decibels down from where she was last time so if we want to go the route of using an FM system we could do that if she needs more help at school. 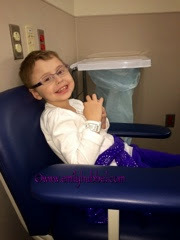 Tomorrow Emily goes back to clinic at 12pm to get accessed again and then she has her MIBG/CT scan at 1pm! We thought we would have to wait till Friday to get results but Dr Sholler will be able to get them so we meet in the clinic around 3pm!! It will probably take longer to get them but we will see! ScAnxiety is definitely here so please wear your Emily Gear in support of Emily and send your love and thoughts! We all had a wonderful Thanksgiving. This holiday we were able to spend time with Doug's family in Massachusetts, which we haven't been able to do in quite some time. Emily loves spending time in Massachusetts. 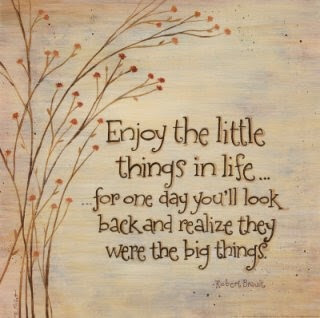 Its the little things in life that we are realize are big things. Spending time with family who loves to spend time with us. We got to spend the weekend with Doug's sister Tricia and she made Thanksgiving and had Doug's dad over. It was wonderful to see the rest of the family and enjoy spending some time together. Best of all, it was spending time with family that meant the most, again its the little things, but you realize family is such a big thing in life. We thank all of our family in Massachusetts and love and miss you guys already. Emily continues to do well. We did get an email from Dr Gowda before Thanksgiving last week to let us know that Emily's vitamin D levels are low and to start her on a supplement during the winter. So we did start her on that over the weekend. Hope we will see her numbers starting to come up when they are checked in Michigan tomorrow. Yesterday we had our first leg of our trip to Michigan and stayed with our good friends in Pittsburgh, PA. Again thankful for the little things that we have such wonderful friends to give us a warm place to stay, warm dinner to eat when we arrive and a place to sleep for the night to rest up for the rest of 2nd leg of our trip. Thank you guys so much for being such wonderful friends. 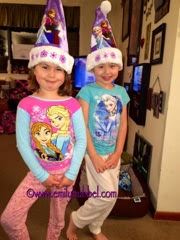 Last night the girls also celebrated Christmas with them since we won't see them around Christmas time and the girls enjoyed opening gifts. Today we are on our way to Michigan, and we have about 157 miles left of our trip. We were going to bring the camper like we normally do, however Doug's truck was acting funny and with the weather we felt it was safer to just bring the van. Because we were late in getting some place to stay, we ended up having to get a hotel close by. So we should be arriving around dinner time to the hotel for the night as long as traffic isn't bad. We are thankful to those who helped with sending gas gift cards, it really means a lot. 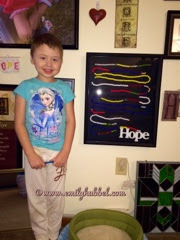 You can also donate through Emily's blog if you wanted to help while we are here. Again thank you to all of the support, it really means a lot to us. Tomorrow Emily has clinic to get accessed and check counts and then she has MIBG Injection and then she gets her hearing checked. We haven't had her hearing checked in quite sometime and we know her hearing has suffered a bit more. We are hoping that her counts are coming back up from where they were down from about a week ago. Tomorrow night there is a "Frozen" party for all the kids from Helen DeVos clinic. Its a play put on by all the nurses from the clinic, so it should be a good time for the kids. 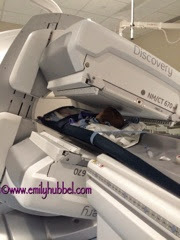 Emily's scan is on Thursday at 1 pm, so our scanxiety is building up for scans. If you have your Emily gear, please wear it to support Emily and our family as we go through scans. 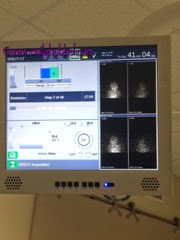 Scans are about a hour and a half. Because they are later in the afternoon we are not sure if it will put us meeting with Dr. Sholler on Friday morning or not. We are waiting to see with that. PET scans and bone marrows will be scheduled if there is any progression. We are hopeful for stable and more specifically better than stable. We know Emily looks great, but we also know Neuroblastoma is a monster and can happen at anytime and we want this monster gone from her body. She deserves. We remain hopeful to hear that one day she is NED and if we ever hear those words, we can promise you there will be a BIG NED party for her. We will update more tomorrow after the day, but please keep Emily in your thoughts and remember to hug and kiss your kids and tell them how much you love them.